There are three shared showers and three shared toilets available which get cleaned on a daily basis. The budget-option in the Casa Mamut: Sleep in one of the dormitories for up to 7 people with shared bathroom. Private lockers and towels included. Daily cleaning service! There are four twin-rooms available. All with shared bathroom and two individual beds (which you can put together if you are a couple). Towels and daily cleaning service included. These Terms and Conditions govern contracts between the customer and the Fidaper S.L., Lago de Mosende (Riba), 15552 Valdoviño, A Coruña, Spain, hereafter referred to as “Hostel Casa Mamut” for the rental use of hostel rooms or beds for lodging purposes, as well as all other goods and services rendered by the “Hostel Casa Mamut” for the customer. The prior consent in text form of the “Hostel Casa Mamut” is required if rooms provided are to be sublet or rented to other parties or used other than for lodging purposes. The contract shall come into force upon the “Hostel Casa Mamut”’s acceptance of the customer’s application. At its discretion, the “Hostel Casa Mamut” may confirm the room reservation in text form. The customer has to provide an approximate time of arrival. The parties to the contract are the “Hostel Casa Mamut” and the customer. If a third party placed the order on behalf of the customer, then that party shall be liable vis-à-vis the “Hostel Casa Mamut” for all obligations arising from the “Hostel Casa Mamut” accommodation contract as joint and several debtor together with the customer, insofar as the “Hostel Casa Mamut” has a corresponding statement by the third party. Any binding direct booking via agent and booking websites shall only be possible for up to 10 persons and up to 7 nights. Enquiries for larger bookings may only be made direct. 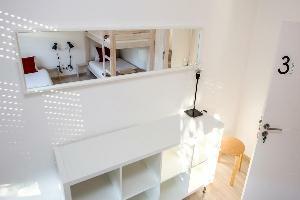 The “Hostel Casa Mamut” shall not be bound by a confirmation by an agent or booking website. The limitation to 10 persons, 7 nights applies also to the total of interconnected individual bookings. Booking costs incurred by the customer shall not be refundable. If the “Hostel Casa Mamut” has already rejected an inquiry made by a customer, he reserves the right also not to accept a booking by the same customer via an agent or booking website. Any claims against the “Hostel Casa Mamut” shall generally be time-barred one year after the commencement of the general statute of limitations. Damage claims shall be time-barred after five years, independent of knowledge. The reduction of the statute of limitation periods shall not apply for claims, based on an intentional or grossly negligent breach of obligation by the “Hostel Casa Mamut”. The “Hostel Casa Mamut” is obligated to keep the rooms reserved by the customer available until the stipulated arrival time including reasonable good will and to render the agreed services. The customer is obligated to pay the applicable or agreed “Hostel Casa Mamut” prices for rooms or beds provided and for other services used. Payment shall be done upon arrival the latest. This shall also apply to the “Hostel Casa Mamut”’s services and outlays to third parties caused by the customer. Moreover, the “Hostel Casa Mamut” may change prices if the customer later wishes to make changes in the number of reserved rooms or beds, the “Hostel Casa Mamut”’s services, or the length of guests’ stay and the “Hostel Casa Mamut” consents to such changes. “Hostel Casa Mamut” invoices not showing a due date are payable and due in full within ten days of receipt. The “Hostel Casa Mamut” shall be entitled at any time to make accumulating accounts receivable payable and due and to demand payment without undue delay. With default of payment, the “Hostel Casa Mamut” shall be entitled to demand the respectively applicable statutory default interest in the amount of currently 8 percent or, with legal transactions with a consumer, in the amount of 5 percent above the base interest rate. The “Hostel Casa Mamut” reserves the right to prove greater damage. A room has not been claimed, if the announced guest did not check-in until 6.00 p.m. on the stipulated day of arrival, unless the “Hostel Casa Mamut” has been informed of a later arrival. In such case, the “Hostel Casa Mamut” is no longer obligated to keep rooms or beds reserved. The “Hostel Casa Mamut” is entitled to require a reasonable advance payment or security deposit upon conclusion of the contract or thereafter. The amount of the advance payment and payment dates may be agreed in textform in the contract. The customer may only set-off or reduce a claim by the “Hostel Casa Mamut” with a claim, which is undisputed or decided with final, res judicata effect. To the extent that a right of cost-free cancellation within a certain period was agreed in text form for the customer, the “Hostel Casa Mamut” is entitled for its part to cancel the contract during that period if there are inquiries from other customers regarding the contractually reserved rooms or beds and the customer does not waive his right of rescission upon inquiry thereof by the “Hostel Casa Mamut”. If an agreed advance payment or an advance payment demanded pursuant to Item III, Nr. 7 supra is not made even after a reasonable grace period set by the “Hostel Casa Mamut” has expired, then the “Hostel Casa Mamut” is likewise entitled to cancel the contract. A Booking without arrival time will be cancelled at 6 p.m. on the stipulated arrival day. The contract agreed via II 1 will effectively be cancelled. Moreover, the “Hostel Casa Mamut” is entitled to effect extraordinary cancellation of the contract for a materially justifiable cause, e.g. if force majeure or other circumstances for which the “Hostel Casa Mamut” is not responsible make it impossible to fulfill the contract; rooms are reserved with misleading or false information regarding material facts, such as the identity or age of the customer or the purpose; the “Hostel Casa Mamut” has justified cause to believe that use of the “Hostel Casa Mamut”’s services might jeopardize the smooth operation of the “Hostel Casa Mamut”, its security or public reputation, without being attributable to the “Hostel Casa Mamut”’s sphere of control or organization; there is a breach of the item I. Nr. 2 supra. Among them are, in particular, however not exclusively, bookings for Stag- or Hennights; customers with any kind of animal; persons with racist, anti-Semitic, right-wing extremist or other violent-prone or extremist ideologies; the purpose of using sexual services; persons addicted to narcotics, primed or obviously unfit to plead for other reasons. The customer can derive no right to compensation from justified cancellation by the “Hostel Casa Mamut”. 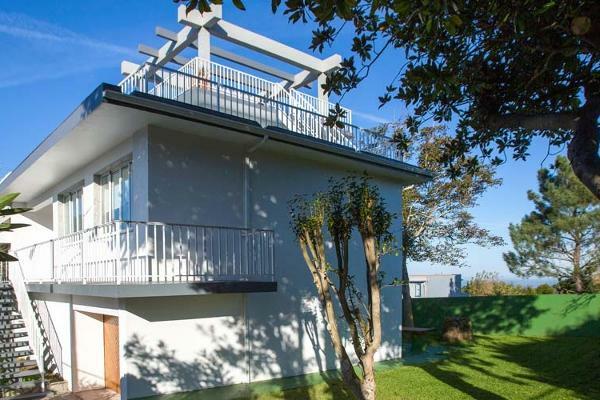 Cancellation by the customer of the contract concluded with the “Hostel Casa Mamut” requires the “Hostel Casa Mamut”’s text form consent. If such is not given, then the price agreed in the contract must be paid even if the customer does not avail himself of the contractual services. This shall not apply with the breach of obligation of the “Hostel Casa Mamut” to take into account the rights, objects of legal protection and interests of the customer, if holding to the contract is no longer reasonable or another statutory or contractual cancellation right exists. To the extent the “Hostel Casa Mamut” and customer agreed in text form upon a date for a cost-free cancellation of the contract, the customer may cancel the contract up to that date without incurring payment or damage compensation claims by the “Hostel Casa Mamut”. The customer’s right of cancellation shall expire if he does not exercise his cancellation right in text form vis-à-vis the “Hostel Casa Mamut” by the agreed date, insofar as no case pursuant to Nr. 1, sentence 3 supra exists. If the customer does not use the rooms held available, the “Hostel Casa Mamut” must apply credit for the income from renting the rooms or beds to other parties and for saved expenses. The value of contract value shall be the gross rate for boarding and lodging agreed upon in the Accommodation Contract, however without any additional services, arranged by third parties. The “Hostel Casa Mamut” may claim against the customer for cancellation / damage claims for additional services booked by the “Hostel Casa Mamut” with third parties on behalf of the customer. In the case of partial cancellations (e.g. reduced number of persons, shorter stay) the cancellation fee shall become due only for the affected part and scope of the contract. However, the “Hostel Casa Mamut” shall be entitled to apply the currently prevailing standard conditions for the reduced service, provided the customer was granted concessions different there from. One-time partial withdrawals of up to 10% of the value of contract shall come under goodwill and will be free of cancellation fees. Reserved rooms are usually available to the customer starting at 4:00 p.m. on the agreed arrival date. The customer does not have the right to earlier availability. Rooms must be vacated and made available to the “Hostel Casa Mamut” no later than 12:00 noon on the agreed departure date. After that time, on the grounds of the delayed vacating of the room for use exceeding the contractual time, the “Hostel Casa Mamut” may charge 50 percent of the full accommodation rate (list price) for the additional use of the room until 6:00 p.m. (after 6:00 p.m.: 100 percent). The customer is at liberty to show the “Hostel Casa Mamut” that it incurred no or much lesser claim to use damages. The “Hostel Casa Mamut” shall be entitled to charge compensation for damages to the rooms or beds, if its use was contrary to the contract and special cleaning was needed because of unusual or wanton pollution. The “Hostel Casa Mamut” is liable to exercise the duty of care of an ordinary merchant with the performance of its obligations arising from the contract. Claims of the customer for reimbursement of damages are precluded except for such which result from injury to life, body or health and the “Hostel Casa Mamut” is responsible for the breach of the obligation, other damage which is caused from an intentional or grossly negligent breach of obligation and damage which is caused from an intentional or negligent breach of obligations of the “Hostel Casa Mamut” which are typical for the contract. A breach of obligation of the “Hostel Casa Mamut” is deemed to be the equivalent to a breach of a statutory representative or employee. Should disruptions or defects in the performance of the “Hostel Casa Mamut” occur, the “Hostel Casa Mamut” shall act to remedy such upon knowledge thereof or upon objection without undue delay by the customer. The customer shall be obliged to undertake actions reasonable for him to eliminate the disruption and to keep any possible damage at a minimum. The customer can derive no right to compensation or reduced payment from such disruptions. The customer is aware that a specialty of the accommodation facility of the “Hostel Casa Mamut” is among other things the letting of shared rooms, where beds are separately sold to customers. Customers in shared rooms accept that eventually other guests unknown to the customer himself have access to the room. If a customer has not booked all beds in a shared room, it is to be expected that other customers might reserve and use the remaining beds. The “Hostel Casa Mamut” offers a Safe for safekeeping of valuables and has placed sufficient lockers for other objects in each shared room. The “Hostel Casa Mamut” recommends that guests utilize these possibilities. If the deposited valuables are kept safe by the “Hostel Casa Mamut” in the safe and other objects are locked in the locker, the “Hostel Casa Mamut” is liable to the customer in accordance with the statutory provisions, i.e., up to one hundred times the room rate, not to exceed € 5,000 and up to € 800 for cash, securities and valuables. Liability claims expire unless the customer notifies the “Hostel Casa Mamut” immediately after gaining knowledge of the loss, destruction, or damage. With regard to more extensive liability of the Hostel, Nr. 1, sentences 2 to 4 supra shall apply respectively. The “Hostel Casa Mamut” assumes no liability for loss of or damage to bicycles, bikes, mopeds and motor vehicles parked or maneuvered on the “Hostel Casa Mamut” property or in the garage, nor the contents thereof, excepting cases of intent or gross negligence. Nr. 1, sentences 2 to 4 supra shall apply respectively. Wake-up calls are not carried out by the “Hostel Casa Mamut”. Messages, mail, and merchandise deliveries for guests are handled with care. The “Hostel Casa Mamut” will deliver, hold, and for a fee forward such items (on request). The customer can derive no right to claim for damages from not delivered messages or damages to content. Personal data (e.g. name, address, banking details, phone number) is to be kept within statutory periods as part of our business correspondence for 6 years and invoices for 10 years, respectively. This also applies to e-mails and data base entries. They are archived in regular intervals in order to make sure that the storage obligations are fulfilled, however that the number of persons having access to these data is kept as small as possible. For statistics data is sent to the Guardia Civil on a daily basis, which is required by law. That is the number of persons, the names, the total nights stayed and the country of the customers’ home address. In no event will such data be misused or passed on to third parties. When booking a bed in a shared room guests share the room with third persons unknown to them. Alternatively customers can book a private room. Customers are obliged to consider this before and when making a booking. During occupancy the staff enters the rooms daily between 12a.m. and 4p.m. in order to remove waste and, if possible, to sweep and wipe the floor. Customers who dislike this service are asked to notify the“ Hostel Casa Mamut” in time. The foyer and the floors are partly under video surveillance in order to prevent theft. The records are deleted after a fortnight. Amendments and supplements to the contract, the acceptance of applications, or these General Terms and Conditions for Hostel Accommodation should be made in text form. Unilateral amendments and supplements by the customer are not valid. Place of performance and payment is the location of the “Hostel Casa Mamut” registered office – Valdoviño. In the event of dispute, including disputes for checks and bills of exchange, the courts at the location of the “Hostel Casa Mamut” registered office shall have exclusive jurisdiction for commercial transactions. Insofar as a contracting party fulfils the requirements and does not have a general venue within the country, the courts at the location of the “Hostel Casa Mamut” registered office shall have jurisdiction. The contract is governed by and shall be construed in accordance with the laws of Spain. The application of the UN Convention on the International Sale of Goods and the conflict of laws are precluded. The “Hostel Casa Mamut” does not commit to use the Online Dispute Resolution. Should individual provisions of these General Terms and Conditions for Hostel Accommodation be or become invalid or void, the validity of the remaining provisions shall remain unaffected thereby. The statutory provisions shall also be applicable.